The federal corruption trial of former Virginia Gov. Robert McDonnell illustrates the power held by prosecutors to destroy a defendant -- or, conversely, to grant a wrist slap. 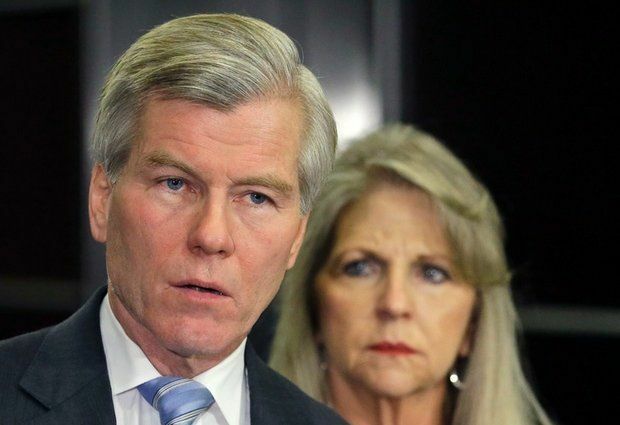 A s the trial finished its second week, looming large is the difference between the 14 counts McDonnell and his wife Maureen currently face -- and the prosecution's pre-trial offer of merely one count against the former governor if he would plead guilty to a false statement charge. The difference shows how our legal system grants prosecutors too much authority compared with that of judges and juries. Sept. 4 Update: The jury convicted the former governor of 11 counts and his wife of nine. But, ironically, the jury acquitted them of false statements – same charge the couple rejected in the sweetheart plea deal prosecutors offered pretrial whereby only the former governor needed to plead guilty. The results underscores the discretion and power that prosecutors possess in such cases. Juries theoretically decide a case. In practice, prosecutors make the most important decisions by deciding how vigorously to pursue complex cases in terms of investigative resources and charges, including whether to accuse family members to rachet up pressure on defendants. McDonnell and his wife are shown in a file photo widely distributed via flickr. They are accused of trading the governor's office prestige for more than $150,000 in gifts, vacations and loans from Jonnie Williams, head of Star Scientific, a vitamin supplement start-up company. A guilty plea by the former governor to one count would have enabled the former First Lady to avoid charges. Also, both of them would have been free from the trial's cascade of embarrassing evidence. News coverage of the trial now makes it difficult for the couple and their children to re-establish their lives even if acquitted. An indictment alone, much less humiliating trial evidence, often destroys finances, savings, job prospects and often friendships and family relations. And if the defendants are convicted of multiple charges they face mandatory minimum sentences that are far harsher than what a judge might impose for a guilty plea to one offense by one defendant. The Justice Integrity Project has documented many instances where prosecutors ruthlessly prosecute some individuals while granting a wrist-slap or less to defendants who have done the same things. Misconduct can be a factor also. USA Today published a series in 2009 that reported 201 criminal cases in which federal judges found that prosecutors broke laws or ethics rules. The reported abuses put innocent people in jail, and set guilty people free. From our files (and searchable on this site through the search tool at top right), examples include the continued imprisonment of former Alabama Gov. Don Siegelman for reappointing to a state board in 1999 a donor to a non-profit the governor supported. In an unprecedented but mysteriously unsuccessful filing to the U.S. Supreme Court, 113 former state attorneys general argued that Siegelman's conduct was not even a crime. 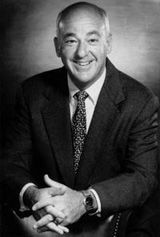 Another shocking example was the unsuccessful federal prosecution from 2006 to 2009 of famed medical expert Dr. Cyril Wecht, shown in a photo. Authorities charged him with 84 felony counts, most of which were for sending 43 faxes on personal matters during his 20 years as part-time coroner for Allegheny County in Pennsylvania. For the fax-sending, prosecutors counted each fax as a separate felony charge punishable by years in prison. Yet it was conduct totaling $3.86 in extra electricity and phone charges that almost any government employee has "committed" such as in using a government-owned fax, phone or computer for a personal communication to a spouse, child, friend or someone else. Wecht, an eminent and elderly consultant, author and medical school professor, had to spend $8.6 million in legal bills to avoid the possibility of imprisonment for the rest of his life for the fax-sending and similarly trivial accusations. During the Wecht prosecutions in two trials, the famed federal prosecutor in Chicago, Patrick Fitzgerald, was revealed as having used his government fax machine also for personal purposes. But Fitzgerald was not prosecuted, and undoubtedly was not even investigated. There is no reason Fitzgerald should have been investigated for such a trivial office matter -- but there is even less reason that Wecht should have been prosecuted by Fitzgerald's colleagues extending from the Bush administration until well into the Obama era. Seldom, however, do we see the contrast in the federal system so vividly displayed as in the McDonnell case unfolding in a Northern Virginia courtroom. The case contrasts the sweetheart deal prosecutors initially offered with their hardball tactics at trial whereby prosecutors may be poised for conviction with a mountain of evidence. The defense, to be sure, has not yet presented its evidence, except via cross-examination. Authorities are accusing the one-term GOP governor McDonnell and his wife of shamelessly accepting gifts from Williams so that the McDonnells could help Williams promote Star Scientific and its controversial supplement, Anatabloc. On Aug. 8, the jury saw the photo at left of McDonnell posing with Anatabloc. Trial coverage excerpted below displays shocking behavior -- whether criminal or not -- by the governor, his wife, and their mostly clueless staff. The details are readily available via coverage in the Washington Post and elsewhere, including testimony this week in a Post news report headlined, Va. official: Star witness exercised rare clout. The Post broke the story in 2013 after determining that the governor's claims of financial independence were not true. Among other stories, Post fashion writer Robin Givhan published, What’s in Maureen McDonnell’s Louis Vuitton handbag? Status, insecurity and maybe jail time, one of a number of interpretive columns so far that portray the defendants not only as greedy but pathetic, according to most reader comments. Earlier this week, testimony indicated that Maureen McDonnell, 60, a former NFL cheerleader, shamelessly tried to promote the vitamin supplement to Ann Romney, wife of Mitt Romney, at a time Robert McDonnell and his staff were trying to woo the 2012 GOP nominee during the vice presidential selection process. 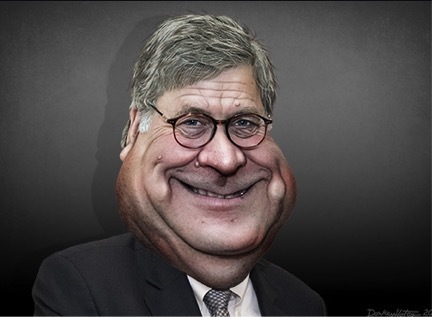 The trial also shows how little the public, including those of us who are commentators, really know about the character, ethics, finances, and double-dealing of our governing officials. Bob McDonnell, educated at Regent University, advanced in politics via the image of a modest, righteous official and loving family man. McDonnell is shown in a Gage Skidmore photo distributed via Creative Commons and Wikimedia. The trial has damaged that image seriously with evidence that suggests either criminality or at best embarrassing behavior and motives. Maureen McDonnell's defense lawyers began the trial, for example, with a suggestion that she sought gifts from the supplement entrepreneur Williams because of a troubled marriage, not a desire to use her husband's office in an illegal quid pro quo for gifts. That defense may persuade the jury. Even if so, the defense efforts to sustain that theme undeniably add to the pathetic personal spectacle on display. Also evident for those monitoring the fairness of the prosecution process are the tremendous advantages that prosecutors have once they decide to lower the boom on defendants. Williams, the man bestowing more than $150,000 in gifts and "loans," has received immunity in return for his testimony. Williams testified that "friendship" with the McDonnells was just to help Star Scientific. “I don’t believe I would have been close friends with the governor and his family,” he said, “if not for all the money.” The governor and his wife wanted even more, he said, but “I turned down a lot of requests.” In return, Williams testified, that he was able to launch his product at the governor’s mansion. Also, the governor and his colleagues helped arrange for Williams to be introduced to leaders in the health-care industry and for Star Scientific's product to placed in gift bags at a meeting of the National Governors Association. 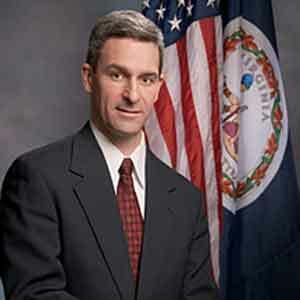 Also evident is the vast difference in resources between a government-funded legal team and even one of a recent governor who has benefited from private fund-raising by supporters and also from dubious state-funded assistance conferred early in the investigative process by his political ally, GOP Virginia Attorney Gen. Ken Cuccinelli, shown in an official photo at left. The influence-peddling scandal also tainted Cuccinelli. He professed innocence and avoided indictment. But he lost his campaign last November to succeed McDonnell as governor. This column's main point is to illustrate that prosecutors have too much discretion and other power in public corruption cases. 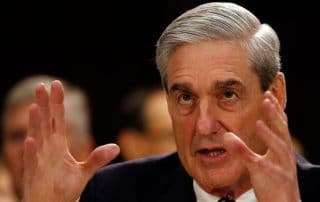 That problem is almost never addressed by Justice Department loyalists, such as U.S. Attorney Eric Holder, a friend of President Obama who has held the department's top post since early in 2009. Holder has sustained and even covered-up wrongdoing in many of the department's most notorious cases, including the prosecutions of Siegelman and Wecht. It is only fair to point out, however, that lawmakers and the public have made law enforcement needlessly difficult by tolerating lax ethics requirements in Virginia and elsewhere. Until the McDonnell scandal arose because of a whistleblowing chef in the governor's mansion, the state's lawmakers applied few restrictions upon themselves from receiving gifts from influence peddlers. Even after supposed reform, officials and their families retain wide freedom on gift receipt and reporting. Under those circumstances, prosecutors might legitimately doubt their ability to win convictions at trial. So, a plea bargain for one count might seem a better public interest option than the risk of loss even with vast evidence of gross behavior that might not reach a criminal standard. Nonetheless, that kind of discretion and closed-door deal-making is incompatible with democracy. All stakeholders -- especially the public -- must insist upon a more equitable system, no matter what the McDonnell verdicts. The vast sums needed for campaigns have fostered a culture of corruption in both parties extending into official behavior and hurting the public. Some scandals may fall in a gray area of personal and official conduct, including resumes. Thus Idaho U.S. Sen. John Walsh, a Democrat, dropped his re-election campaign this week after a particularly nasty plagiarism scandal while he was attending the U.S. Army War College. That is not criminal but goes to the heart of his credentials for office. In contrast to cases of clear-cut wrongdoing, the Siegelman and Wecht prosecutions had political basis, our researches have documented. 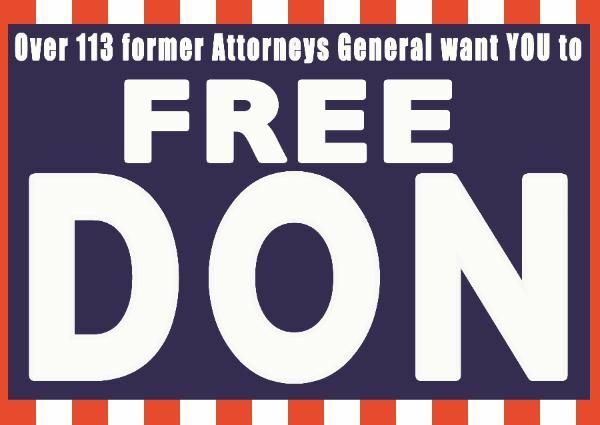 One motive for the Siegelman prosecution was, rather clearly, an opportunity for the Bush administration under White House advisor Karl Rove to remove Alabama's leading Democrat from public life by railroading him to prison with the concurrence of a trumped-up prosecution. As we have also shown in Siegelman Deserves New Trial Because of Judge’s ‘Grudge’, Evidence Shows and elsewhere, a biased GOP federal judge who hated the defendant and who was being enriched by Bush defense contracts helped ensure Siegelman's conviction. The judge made many pro-prosecution rulings on dubious grounds that were sustained by all-Republican federal appellate judges. Criticism of the rulings has been widespread, including by prominent Republicans. But the law enforcement and political communities tend to support one another when the stakes get high. In the Wecht case, the mind-boggling zealotry of federal prosecutors can be explained in part by an understanding of the law enforcement role of a coroner -- and Wecht in particular. An expert forensic medical expert like Wecht can create enormous difficulties for police and other authorities by retaining independent professional standards and making reports on occasion that might contradict other official accounts of deaths and crimes. Wecht had done so repeatedly, perhaps most famously in criticizing the Warren Commission's official conclusions about the 1963 murder of President John F. Kennedy. Wecht is among those scholars who have long maintained that the Warren Commission must have been wrong in, among other things, saying Kennedy was shot by one person with three shots from the rear, with two of the bullets striking the president. Wecht's many speeches, books and conferences on the topic were doubtless a special irritant to the late Republican Sen. Arlen Specter, who had been a counsel to the Warren Commission and strong advocate of the "single bullet theory" that one bullet was able to inflict multiple wounds in Kennedy and former Texas Gov. John Connally by changing directions. The JFK case remains in the news, with the 50th anniversary of the Warren Commission Report to be examined in September by prominent experts, including Wecht, a leading of medical societies, author or co-author of more than 40 books and 575 professional articles. More generally, he has shared his views with the Justice Integrity Project about the horrible ordeal that defendants face from unfair prosecution. An appendix below provides a sample of more recent controversies, which include Alabama and New York. In Alabama, Siegelman's Republican successor as governor, Riley, who served from 2003 to 2011, is being investigation on claims of massive campaign funding irregularities during the 2010 elections. The scandal also has a Virginia link to former Republican National Committee Chairman Ed Gillespie, the party's candidate for the U.S. senate against incumbent Mark Warner (D-VA). In New York, Democratic Gov. Andrew Cuomo, shown in a file photo, is under investigation on suspicion of witness tampering. The gist is that we depend on honest government and fair law enforcement. But we're not going to get either without paying much more attention to the ongoing procedures, which are more important than the scandal of the moment. Washington Post, As McDonnell awaits Supreme Court, another governor watches from prison, Robert Barnes, April 25, 2016. Along with the state officials and law professors who are happy that the Supreme Court this week is reviewing the corruption conviction of former Virginia governor Robert F. McDonnell, add inmate No. 24775-001 at the federal prison in Oakdale, La. While the Supreme Court never accepted Siegelman’s case for full briefing, McDonnell grabbed the brass ring twice. Not only is the court reviewing his 2014 conviction in its last oral argument of the term Wednesday, but the justices intervened at the final hour last fall to keep McDonnell from having to report to prison while the legal drama played out. That was something the court had never done before, Solicitor General Donald B. Verrilli Jr. told the justices before they acted. Washington Post, McDonnell verdict: Guilty, Sept. 4, 2014. A federal jury Thursday found former Virginia governor Robert F. McDonnell and his wife, Maureen, guilty of public corruption–sending a message that they believed the couple sold the office once occupied by Patrick Henry and Thomas Jefferson to a free spending Richmond businessman for golf outings, lavish vacations and $120,000 in sweetheart loans. After three days of deliberations, the seven men and five women who heard weeks of gripping testimony about the McDonnells’ alleged misdeeds acquitted the couple of several charges pending against them – but nevertheless found that they lent the prestige of the governor’s office to Jonnie R. Williams Sr. in a nefarious exchange for his largesse. The verdict means that Robert McDonnell, who was already the first governor in Virginia history to be charged with a crime, now he holds an even more unwanted distinction: the first ever to be convicted of one. The Guardian, The governor, the retail-therapy wife and the priest who likes men: Bob McDonnell knows how to do scandal, Jeb Lund, Aug. 28, 2014. Memo to politicians on trial: if you are charged with 14 counts of corruption, try arguing that your Christian conservative marriage is boring and your wife is mean. It might just get you off! Washington Post, Prosecutors use McDonnells’ friends, aides as witnesses against couple, Rosalind S. Helderman, Aug. 9, 2014. As prosecutors concluded the second week of their federal corruption case against the former first couple Friday, it became increasingly clear how they hope to corroborate Williams’s account that he tried to bribe the first couple with more than $150,000 in luxury gifts, vacations and loans: They want to use the words of the people who have worked most closely with the McDonnells against them. It is a potentially powerful strategy, made all the more so by the obvious discomfort of many of the prosecution’s witnesses with their roles in the soap opera-esque trial. Some still profess loyalty and friendship with the onetime governor. Washington Post, McDonnell prosecutors put focus on secrecy surrounding dealings, Rosalind S. Helderman, Laura Vozzella and Rachel Weiner, Aug. 8, 2014. A colleague says he was shocked at the “hubris” when Jonnie Williams revealed gifts to Va.’s first couple. Washington Post, Va. official: Star witness exercised rare clout, Matt Zapotosky, Rosalind S. Helderman and Laura Vozzella, Aug. 7, 2014. The businessman’s ability to get into a health-care event was frustrating, a Cabinet member said. Virginia’s health secretary testified Thursday that he was angry that a Richmond businessman hoping to promote his company’s new dietary supplement was allowed to shape the guest list at a 2012 reception meant for state health-care leaders at the governor’s mansion. The businessman, Jonnie R. Williams Sr., seemed to be able to navigate the governor’s office in an atypical way, Health Secretary William A. Hazel Jr. testified. That was especially frustrating, he said, because of the dubious claims Williams was making about his product. “I can’t recall that there was ever a situation quite like this,” Hazel said. Washington Post, What’s in Maureen McDonnell’s Louis Vuitton handbag? 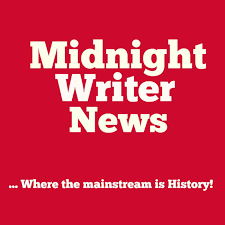 Status, insecurity and maybe jail time, Robin Givhan, Aug. 7, 2014. The designer goods at the center of the government’s case against former Virginia governor Bob McDonnell and his wife Maureen were splayed out on tables in a most undignified way, photographed and entered into evidence. An Oscar de la Renta beaded shift was entombed in thin dry cleaner’s plastic. A Louis Vuitton trenchcoat lay limp on a hanger. A pearl-colored Louis Vuitton handbag look deflated and cheap. Separated from the woman who risked so much to get them, the clothes, with their sizes visible, looked like so many specimens of human weakness, social status and cultural detritus awaiting dissection. Poke at them and the insecurity flows out. 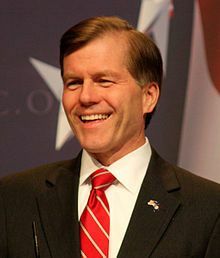 Washington Post, Dana Milbank: Bob McDonnell is a loser either way, Dana Milbank, Aug. 4, 2014. There is a prominent flaw in the legal strategy of Bob McDonnell: Even if the disgraced former Virginia governor wins in court, he loses. In December, during McDonnell’s final days in office, prosecutors offered him a deal that would have let his wife off the hook and would have required him to plead guilty only to a single charge unrelated to his official duties. But McDonnell chose to go to court. Had he taken the deal, McDonnell would have looked like a sleazy pol. The McDonnells’ defense is that Maureen had a “crush” on Jonnie Williams and therefore hid from her husband her crush’s largesse. 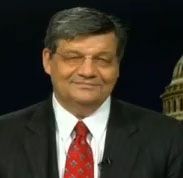 Asked whether he had a romantic relationship with Maureen McDonnell, the former salesman looked amused. “I didn’t know Mrs. McDonnell had any interest in me until last week,” said Williams, who is married, 59 years old and about 5-foot-6. Blue Ridge Muse, McDonnell’s con job, Doug Thompson, March 11, 2014. Former Virginia Gov. Bob McDonnell and his wife: From power couple to potential convicts. It is hard to watch events and revelations unfold around the scandal-scarred career of disgraced former Virginia governor Bob McDonnell without feeling some sadness and regret over what happened to a once promising political figure in Virginia. McDonnell enjoyed the fast-track in political life, going from Attorney General to Governor in a few short years. 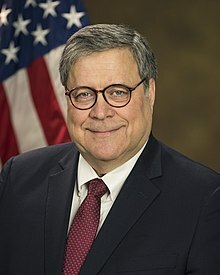 His election to the Old Dominion’s top spot in 2009 seemed just the latest step in a journey that would eventually carry he and his former professional football cheerleader wife to Washington as a Senator and talk about a run for the White House often included his name. Politico via Huffington Post, To pick staff, Scalise turns to lobbyist, Anna Palmer and Jake Sherman, Aug. 5, 2014. 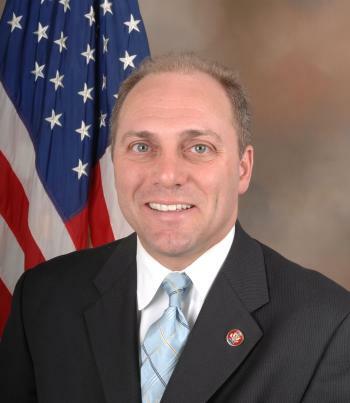 House Majority Whip Steve Scalise (shown with his official photo) got some help interviewing potential new hires for his press shop from an unlikely source: a federal lobbyist. Quinn Gillespie & Associates’ John Feehery sat in on and participated in multiple official interviews with job candidates last month for the new majority whip’s press operation. 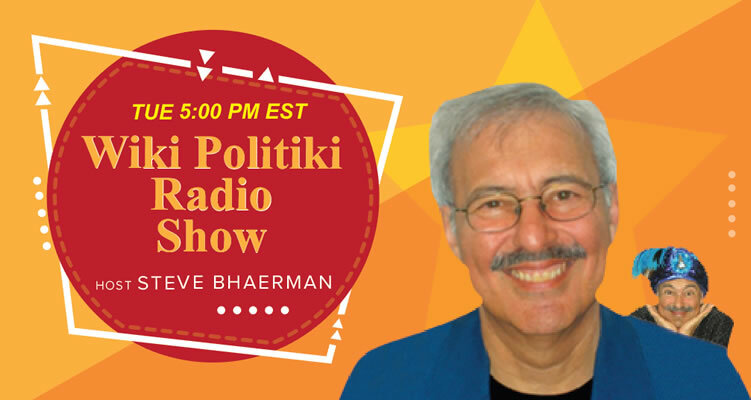 Inviting a lobbyist into an interview is highly unusual. Several ethics lawyers and current and former leadership aides said they have never heard of a similar arrangement. Feehery is registered to lobby on behalf of major corporations like AT&T, Sony Corp., Qualcomm, 21st Century Fox and others that have interests before Congress and the House Energy and Commerce Committee, of which Scalise is a member. FireDogLake, Governor Cuomo Receives Warning From US Attorney About Obstructing Justice and Witness Tampering, DS Wright, Aug. 1, 2014. On the heels of reports that New York Governor Cuomo’s staff interfered with investigations into corruption involving firms connected to the governor, the US Attorney for New York, Preet Bharara, has warned Cuomo, shown in a photo, and staff about obstructing justice and witness tampering. 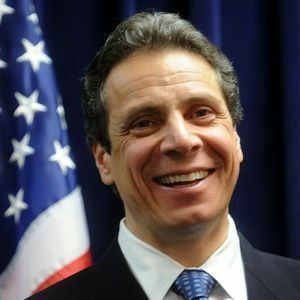 Governor Cuomo’s staff have reportedly already told a New York state commission investigating corruption, the Moreland Commission, to pull back subpoenas from political consulting firms that work with Governor Cuomo’s re-election campaign. This despite Governor Cuomo himself establishing the commission to respond to a wave of corruption plaguing New York state government. The letter from the US Attorney came after Cuomo’s staff issued public defenses of their behavior in response to a New York Times story detailing the interference with the commission from Governor Cuomo’s office. U.S. District Judge Mark Fulller, nationally notorious in human rights circles for helping lead the frame-up of former Alabama Gov. Don Siegelman on corruption charges, is shown in a mug shot after being arrested in Atlanta June 9 on a charge of assaulting his wife. Atlanta Journal-Constitution, Federal judge arrested in Atlanta; accused of assaulting wife, Chris Joyner, Aug. 10, 2014. 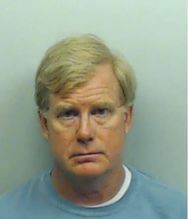 Atlanta police arrested a federal judge Saturday evening on charges that he assaulted his wife. U.S. District Court Judge Mark Fuller was charged with misdemeanor battery and taken to the Fulton County jail around 2:30 Sunday morning. Fuller, 55, is a judge in the Middle District of Alabama and presided over the 2006 bribery trial of former Alabama Gov. Don Siegelman and HealthSouth CEO Richard Scrushy. According to a jail official, the judge has a 9 a.m. Monday court appearance and was expected to remain in jail overnight. Police responded to the Ritz-Carlton Hotel at 181 Peachtree Street at 10:47 p.m. According to Atlanta police spokeswoman Kim Jones, officers spoke to Fuller’s wife, “who stated she was assaulted by her husband.” Fuller’s wife, who was not named by police, was treated by paramedics but refused treatment at a hospital. Fuller was nominated to the bench in 2002 by President George W. Bush and has been a controversial figure in Alabama politics, largely for his role in the Siegelman trial. Siegelman’s family members and supporters claim the former governor’s prosecution was politically motivated and that Fuller should have recused himself for conflicts of interest. Politico, Exclusive: Powerhouse GOP group snared in money scheme, Alexander Burns, Aug. 4, 2014. Since the Republican State Leadership Committee burst into national politics, it’s become one of the most influential outside players on the right: It spent tens of millions of dollars to flip state legislative chambers and redraw the congressional map in Republicans’ favor — and is poised to pump millions more this fall into locking down state capitals for the GOP. But the group’s swift ascent has not come without controversy — or lingering legal hazard. At the height of its political emergence, the RSLC was implicated in a risky campaign finance scheme that an internal report warned could trigger “possible criminal penalties” and “ultimately threaten the organization’s continued existence,” according to a confidential document Politico obtained from a source. The September 2011 report, prepared by the prominent Washington law firm Baker Hostetler, was presented to an RSLC board then helmed by former Republican Party Chairman Ed Gillespie — RSLC’s chief financial rainmaker starting in 2010 and now a candidate for the U.S. Senate. Never disclosed until now, the document detailed an investigation into alleged misconduct by multiple RSLC officials during the crucial 2010 election cycle: It charged that national RSLC leaders conspired improperly with the leader of the Alabama Republican Party to use the RSLC as a pass-through for controversial Indian tribe donations, essentially laundering “toxic” money from the gaming industry by routing it out of state and then back into Alabama. “If these events are made public, the resulting media frenzy will be a political disaster for Alabama Republicans, a disaster with which RSLC will forever be associated,” the report concluded. Alabama Political Reporter, Riley/Hubbard Funding of Non-Profit Raises Serious Questions, Bill Britt, Aug. 8, 2014. In February, 2013, the Alabama Political Reporter revealed that in 2010, Governor Bob Riley, in conjunction with then Minority Leader Mike Hubbard, funneled money from various PACs, and from the RSLC to Citizens for a Better Alabama, (CBA), to stop bingo-style gaming from becoming legal in the State. But, certain statements made by the group's founder, A. Eric Johnston, and various suspect actions by Riley (shown in an official photo from his two terms extending from 2003 to 2011) and Hubbard, indicate there is more to this story than just one group's battle against gambling. A recently disclosed 2011 investigation by the Republican State Leadership Committee, (RSLC), showed that there were great concerns over donations given to CBA from the RSLC: “The $100,000 contribution to Citizens for a Better Alabama (CBA), which is not controlled by Hubbard, is particularly troubling. CBA is not a Republican PAC, and it is highly unusual, if not unprecedented, for RLSC to contribute money to a non­ Republican group. Worse, CBA appears to be the renamed "Citizens Against Legalized Lottery ("CALL")," one of the Christian groups through which Jack Abramoff funneled Choctaw Indian-money to help Ralph Reed rally social conservatives against,” the report concludes.” However, it appears that the investigator, nor the RSLC knew that it was Riley along with Hubbard who were in-fact controlling CBA, by proxy. According to Johnston, Riley and Hubbard not only procured the funds for CBA, they directed where the money would be spent. Al.com, Mike Hubbard says scathing contribution memo 'isn't worth the paper,' it's written on, Leada Gore, Aug. 8, 2014. Alabama speaker of the House Mike Hubbard said a report tying him to a plan to use a GOP organization to hide campaign donations from Alabama gambling interests "isn't worth the paper it's written on." Hubbard, a Republican from Auburn, told the Opelika-Auburn News the report has more to do with troubles from within the national Republican State Leadership Committee than anything that occurred in Alabama. "It is obvious that an internal power struggle between factions of the (Republican State Leadership Committee) prompted this report, and there is absolutely no reason to bring Alabama or contributions reported long ago into that battle," Hubbard told the O-A News. Hubbard's comments came after a Monday article in Politico detailed how the Porch Creek Indians, which operate casinos in Atmore, Wetumpka and Montgomery, donated more than $578,000 to the RSLC in 2010. The RSLC then turned around and directed the money to several Alabama PACs, most of which were controlled by Hubbard. 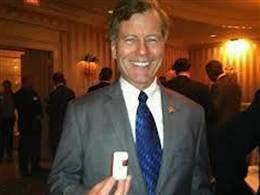 Legal Schnauzer, Evidence Shows Republicans Are Lying About Their Use Of Indian Gambling Funds In Alabama, Roger Shuler, Oct. 24, 2012. Prominent Alabama Republicans this week said they did not know that funds used to fight non-Indian gaming in the state came from Indian gambling sources. A check of public records shows the Republicans almost certainly were lying. A $100,000 check that went to an Alabama anti-gambling organization in 2010 originated with the Poarch Band of Creek Indians and was funneled through the Republican State Leadership Committee (RSLC), according to a report in the Montgomery Advertiser. The same article showed that Indian gambling money, via the RSLC, played a prominent role in the Republican takeover of the Alabama Legislature in 2010. Three key Republicans connected to the story--Homewood attorney Rob Riley, conservative lawyer and activist A. Eric Johnston, and House Speaker Mike Hubbard--said they had no idea the RSLC took money from gambling sources. 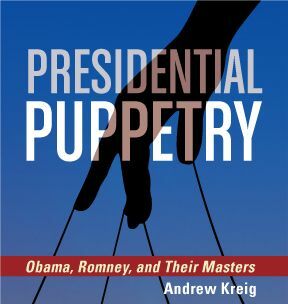 But a simple check of public documents on the Web shows the GOP trio either was lying or was stunningly out of touch. The Alabama denials are even more hard to swallow in light of recent reports that two Las Vegas casino moguls--Steve Wynn, of Wynn Resorts, and Sherman Adelson, of the Las Vegas Sands, gave more than $625,000 to the RSLC in recent months. Another report shows that Caesars Entertainment Operating Company, of Las Vegas, has given $165,299 to the RSLC. Former Alabama Gov. 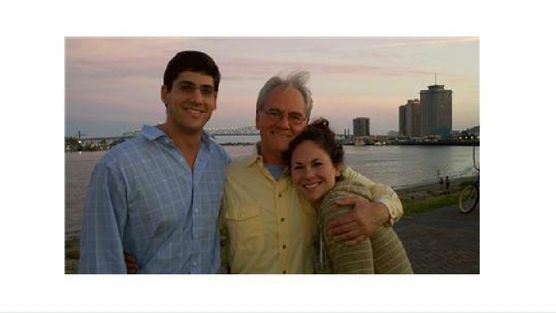 Don Siegelman is shown with this two children, Joseph and Dana, prior to his reentry to prison after his appeals failed regarding his disputed convictions for 1999 conduct. CBS 60 Minutes, Did Ex-Alabama Governor Get A Raw Deal? Scott Pelley, Feb. 24, 2008. Is Don Siegelman in prison because he's a criminal or because he belonged to the wrong political party in Alabama? Siegelman is the former governor of Alabama, and he was the most successful Democrat in that Republican state. But while he was governor, the U.S. Justice Department launched multiple investigations that went on year after year until, finally, a jury convicted Siegelman of bribery. Now, many Democrats and Republicans have become suspicious of the Justice Department's motivations. Siegelman supporters have sent well over 100,000 protests to authorities in both the Bush and Obama administrations protesting his frame-up, to no avail so far. Legal Schnauzer, Improper Actions Of Prosecutor And District Judge Are Focus Of New Appeal In Don Siegelman Case, Roger Shuler, Aug. 26, 2013. There is something fundamentally wrong with our judiciary when this nation can readily justify sending men and women into war zones claiming for reasons to provide others their freedoms and rights, yet here, especially within our own state that many have been, are consciously being denied those same freedoms and rights. 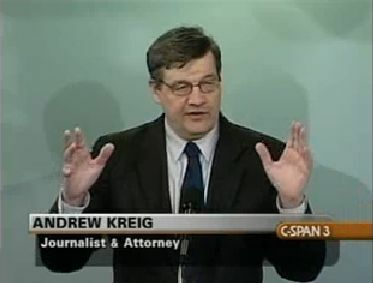 Justice Integrity Project, Justice Irregularities In Alabama Continue Disgrace, Andrew Kreig, July 4, 2011. The U.S. Senate approved by voice vote June 30 a new U.S. attorney for Alabama, thereby extending a series of disgraces blighting the federal justice system in that state and nationally. The Senate voted to approve George Beck, 69, to run the Middle District office in Alabama’s capital city of Montgomery. The Senate failed to require that Beck, right, appear at a hearing to answer questions about a host of pending issues. See: A side-by-side comparison of the Russian presidential jetliner and the Malaysia Airlines plane. Consortium News, Was Putin Targeted for Mid-Air Assassination? Robert Parry, Aug. 8, 2014. Exclusive: Official Washington’s conventional wisdom on the Malaysia Airlines shoot-down blames Russian President Putin, but some U.S. intelligence analysts think Putin, whose plane was flying nearby, may have been the target of Ukrainian hardliners who hit the wrong plane, writes Robert Parry, the much-honored reporter who broke the Iran-Contra scandal in the 1980s while working for the Associated Press and Newsweek. U.S. intelligence analysts are weighing the possibility that the shoot-down of Malaysia Airlines Flight 17 was a botched attempt by extremists in the Ukrainian government to assassinate Russian President Vladimir Putin whose aircraft was returning from South America the same day, according to a source briefed on the U.S. investigation. If true, the direction of the investigation into the July 17 crash has veered dramatically from initial U.S. government allegations that eastern Ukrainian rebels, using a Russian-supplied anti-aircraft battery, were responsible for bringing down the plane killing 298 people onboard. The Obama administration used those claims to whip up an anti-Russian hysteria that prompted European countries to ratchet up economic sanctions against Moscow, starting what now looks like an incipient trade war. But the U.S. analysts dismissed those original suspicions because they could find no evidence that such a missile battery had been supplied by the Russians or was in the possession of the rebels, prompting a shift in thinking toward a scenario in which Ukrainian hardliners working with elements of the air force may have tried to ambush Putin’s plane but instead hit the Malaysian airliner, said the source speaking on condition of anonymity. Putin flies in a plane with similar red, white and blue markings as the Malaysian airliner and was known to be on his way home after a six-day visit to South America. But his plane took a different route and landed safely in Moscow. Intercept/First Look, U.S. 'Humanitarian' Bombing of Iraq: A Redundant Presidential Ritual, Glenn Greenwald, Aug. 8, 2014. For those who ask “what should be done?” The suffering in Iraq is real, as is the brutality of ISIS, and the desire to fix it is understandable. There may be some ideal world in which a superpower is both able and eager to bomb for humanitarian purposes. But that is not this world. Just note how completely the welfare of Libya was ignored by most intervention advocates the minute the fun, glorious, exciting part – “We came, we saw, he died,” chuckled Hillary Clinton – was over. Reuters, U.S. Senator John Walsh drops out of Montana race, Laura Zuckerman, Aug. 7, 2014. U.S. Senator John Walsh of Montana has dropped his election bid following a plagiarism scandal, the Montana Democratic Party said on Thursday, leaving Democrats little time to come up with a replacement as Republicans vie to gain control of the Senate. Walsh, appointed to the post by Montana Governor Steve Bullock earlier this year to replace outgoing Senator Max Baucus, now ambassador to China, was already seen as vulnerable to a strong Republican opponent in advance of November's election. "I am ending my campaign so that I can focus on fulfilling the responsibility entrusted to me as your U.S. senator," Walsh said about his decision, which follows revelations he lifted without attribution parts of a paper he wrote for a master's degree. Walsh will remain in the Senate until his term ends on Jan. 3, Montana Democratic leaders said. Walsh's withdrawal, which allows his party to nominate a new candidate before the November election, comes at a time when Democrats are concerned that they may lose control of the Senate. Salon, NYPD drags a 48-year-old naked woman from her apartment as neighbors protest and tape arrest, Staff report, Aug. 3, 2014. Disturbing video captures the NYPD arresting a woman as she shouts that she needs her oxygen. Denise Stewart, a 48-year-old Brooklyn woman was dragged by NYPD from her apartment and arrested in the late hours of July 13, New York Daily News reported. The grandmother had just taken a shower and was only wearing a towel and pair of underpants when NYPD pounded on her door. The NYPD officers were responding to a domestic violence 911-call made from the Brownsville apartment building.